Will Labour undermine the principle of consent with their ‘socialist’ obsessions? Karl Marx and Friedrich Engels were clear; however “unfair” Capitalism was, it liberated people from any servitude based on inherited status or gender (as opposed to class) and had the transformative capacity to deliver justice based on the proletarianisation of all workers whether male or female. Their view was that capitalism’s principles (we call them Contract, Choice and Consent) should become enshrined in the brief socialist phase of history, before being seared into a post-socialist society by the “dictatorship of the proletariat”. Liberation from exploitation, of whatever sort (status, gender or class) was Marx’s “riddle of history solved”. Socialism is, therefore, a phase on the road to the full liberation of workers, not the end stop of that process. To work as it should, socialism needs a profitable capitalist system upon which to feed prior to the “dictatorship of the proletariat” emerging from the socialist state itself. There are problems with this essentially 19th-century vision today, however, not least of which is the absence of real profitability generated by the exploitation of the worker within a powerful western capitalist economic system. A capitalist system that can be placed initially under the control of the state and then the working classes. Today it is the western blue-collar workers who finance the Nation State its politicians, banks and well-paid hangers-on. It is equally true that working class people are also more than likely to be of this unlovely collection, cast out into a kind of economic oblivion brought about by global forces, in particular, relatively high wage levels and low western economic productivity. The free market racketeer who is often passed off as a ‘capitalist’ offshores profits and gets the Chinese government to exploit its workers on their behalf by producing ‘consumables’ in planet-destroying quantities. Globally this is a racket, not a system. It bears little resemblance to Capitalism, it is gamed by powerful forces including candidates like corporations and global investment, as well as unlikely characters like the BBC and political parties. Is there any good news in all this? Well yes, there is excellent news. Firstly with capitalism lasting as long as it did, socialism and social liberalism was able to give “social character” to values based on the capitalist principles of Contract Choice and Consent. We now have solid humane and liberal values within a framework of law which protects groups that in primitive (pre-capitalist) societies are hounded, bullied, persecuted or killed. This includes apostates, dissenters, gay people and women seeking liberation from the tyranny inflicted on their gender by state, tribe or caste. Capitalism has left a legacy of justice even though it was unarguably a very unfair system. To fail to understand this distinction between justice and fairness leaves the “socialist” open to the kind of idiocy one observes within the “Marxist” Labour Party today. Essentially the current iteration of Labour has a misguided view of capitalism’s legacy fetishised into ‘Tory’ hating. They fail to grasp that Western Capitalism is already dead replaced by global racketeering and that their parochial economic plans will be an insufferable burden on the working class for hundreds of years. They fail to understand the origins of liberal values within the capitalist system and so oblivious to real liberalism, hobnob with a collection of groups who like them might hate capitalism, but also hate its liberation of women and others too. They fail to grasp that control, exclusion and coercion are pre-capitalist principles and that by flirting with people who adopt them (and by adopting them themselves) they place the liberty of us all in jeopardy. Our economic situation is precarious enough with the racketeering of the global elites undermining our Nation States all over the western world, but with Labour, not only do we as workers have that to contend with but the probability under a Labour Government of a slow and remorseless rolling back of our freedoms to Contract, Choose and Consent to take us back to an age of overt State control. Marx and Engles were wary of the State. As with their mangling of the “many and the few” once again it’s clear to us Labour’s ideas are not what Marx or Engels would have had in mind when crafting their beliefs. Consent is not safe with Labour and we should all worry. 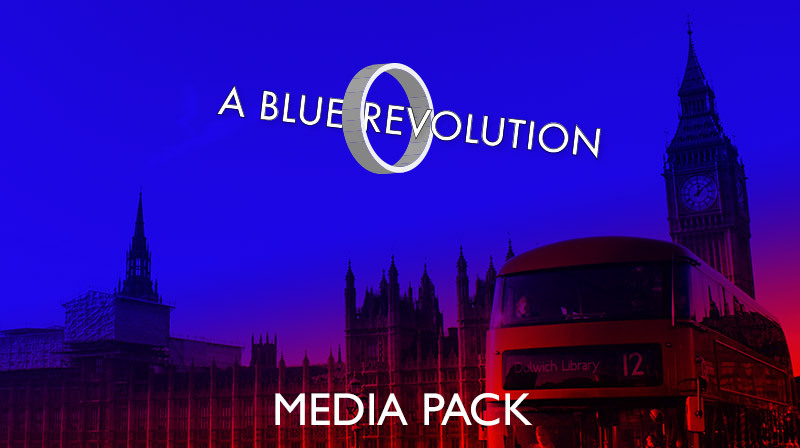 Why we need a relaxed, ballot box based radical Blue Revolution. Sadly the world is a bit of a mess. Yes people are getting rich and some people are getting jobs but the elephant in the room is that too many of those jobs are based directly or indirectly on debt and too few people are the recipients of the debt once it has been transformed into income by the state or banking system, so only a few, including politicians get rich. Bonuses to house builders, EU bureaucrats Vice Chancellors of British Universities and state employees on over £100K per year all have a stake in taxpayer-funded debt. QE and the issuing of government Bonds assist the profitability of the banking system. No one is going to challenge the status quo when the status quo, the taxpayer-funded global debt model, is so lucrative to our “elite”. What is called “capitalism” today owes more to debt than capital (capital is economic value stolen from workers by capitalist’s, getting workers into debt to pay “capitalists” is not capitalism) but the elite doesn’t want anyone to know that. Without the West’s governments taking tax from and thus indebting the poor taxpayer for centuries the system would have collapsed about a decade ago. The 2007/8 banking crisis was the most recent iteration of capitalisms terminal illness. Others collapses have been prevented by war or re-engineering the system as happened in the 1980’s. The problem is that when the 1980’s collapse began the world was global so the Elite could export expensive work to China making the maximum profit from low production costs and stable sale prices at home. As prices stayed stable so inflation was stable but work was becoming a low skill and low pay issue so families needed subsidy and that comes from taxpayers too. So the bottom end of the economy is being subsidised and the elite’s and bankers are being continually bailed out as well. Initially, in 07/08 the bankers had to be bailed out…the systems death throes would have had a devastating social as well as catastrophic economic impact so immediate collapse had to be avoided. However rather than have a revolutionary overhaul of the whole system and staunch the excessive wealth and waste inherent within the elite’s crony economy, the state not only stepped in to stop the collapse, it continues to subsidize the whole “capitalist” system (banking, State and consumption). There is no one who is going to come forward to change this unless a quiet ballot based revolution takes place and those who can live on a realistic wage start to re-engineer the whole system for the benefit of everyone. Corbyns tax and spend is grist to the mill for the global elite and Farage’s sucking up to the EU shows just how far the global elite will go to consolidate their advantage over the rest of us. 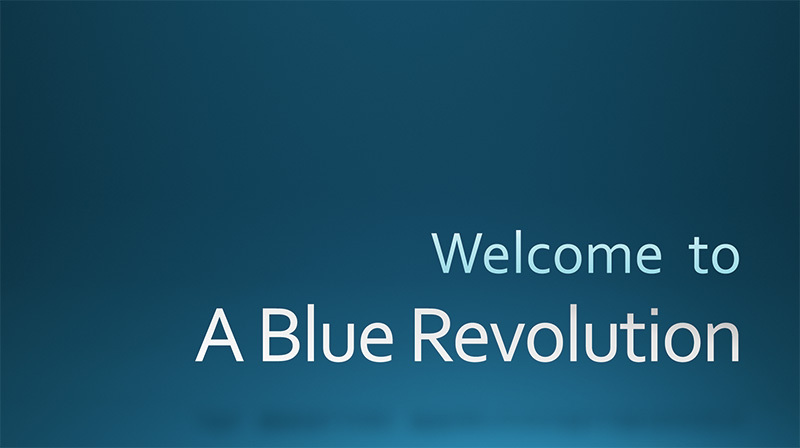 Blue Revolution is a quiet revolution, it’s a means by which ordinary people can get in on the political act by not having to go through the ideological indoctrination of the party system. The ballot really is the most power you have ever had let’s use our votes to make sure we help our Nation of workers survive our State by becoming Blue Revolutionaries. We examine the “four markets of the apocalypse”! Just like the four horsemen of the Apocalypse bring war, famine, conquest and death so we believe that there are now four markets of the apocalypse that will signal the end of the West’s global preeminence and with that usher in an era of well, famine, war conquest and death! Many will argue that the “global system” has created wealth in abundance and staved off starvation and numerous other miseries. However, we have wars raging in the Middle East and in the west, the poor are getting poorer and being blamed for it. So we will explore our four markets of the apocalypse and how they contribute to the world’s misery and death. They are in order of significance, for us they are, the global labour market, Bond markets, The financial market, and the housing market. The working classes have forever been victims of a failing system. From peasants locked into servitude then thrown into urban factories in the 18th and 19th centuries to the workers who, thrown into unemployment were salvaged from destitution by two world wars. More recently the stupifying horror of “healthcare and welfare” as capitalism gave way to the racketeering of the “free market”. What underpins all of these scenarios is labour market failure. However whilst the more obvious iterations of labour market failure are easy to see, we have sleepwalked through the most recent failure believing all is Ok. It all began in the late 1970’s when capitalism finally got to the point where it was producing too little value to support the social and political institutions it had supported since the 18th century. Institutions like the law, politics and local government, health and welfare. Capitalism was on the ropes and whether by intention or accident the labour market was seen as a major cause of the failure. The solution was overseen by passive and ignorant political class who watched firstly the shift of higher value production to China and the re-emergence of the western economy as a “consumer” economy and finally the remaining “onshore” low-value work taken by migrants from Mexico or Eastern Europe. An economy that consumes but does not produce value isn’t an economy at all…unless it’s a kind of Alice in Wonderland economy. The combined effects of this crazy business model has been to turn UK workers into welfare and healthcare “paupers” unwanted by the global labour market but growing fat and docile at the State’s or rather taxpayers expense. In the US the businessmen and women get rich whilst the poor are not pauperised but ghettoised and become that useful social commodity a criminal. In the UK many unemployed are hidden by a therapeutic language of “needs” and inadequacy taking them out of the labour market altogether. People, of course, do work but most private sector workers are in the “consumer” economy as shop, restaurant and hotel workers or the building industry. These workers rely on the other failing markets the housing, financial and Bond market to boost the economy in their sector, largely via debt. The labour market has rendered British an US workers unemployable, created a docile underclass of ex-industrial and agricultural workers and their second and third generation offspring, whilst low production costs and “western” production values have made retail billionaires out of a whole unlovable bevvy of spivs and chancers. All this whilst the politicians have stood around in a kind of baffled paralysis and simply watched. In the US and the UK no one really “gets it” apart from the people getting rich from this crazy economic and social model. It makes publicly funded “chiefs” wealthy beyond their dreams, along with a whole swathe of what we call the publicsectoracy or the new taxpayer-funded elite. The workers currently have zombie jobs and low pay. Eventually with no jobs and no pay who knows what will happen. The modern labour market has failed and is failing every time someone goes to work in the west and is paid with the proceeds of debt. When it finally crashes (because of the failure of our other markets) the crisis will render most westerners economically redundant with little economic or social value. This will usher in a feudal-like system run by the caring right and the psychotic left. Back to the future indeed. Whilst the labour market has failed in response to the latest iteration of the failure of western capitalism, governments or rather the State had to undertake business as usual and that meant paying themselves and their retinue wages initially set at the benchmark of what the capitalist or bourgeois system would tolerate. Now, however, shorn of the need to concern themselves with actual money taken from rich bourgeois taxpayers who had political clout the state borrows by issuing Bonds and defers the cost of running the State to the next generation. The baby boomers are really looking after themselves as only the 1960’s and 1970’s entitled generation know how to. Corbyn and a youthquake….get real! He is looking after the boomers first and foremost. The problem with Bonds, like much else we call economics, is that they are debt and debt isn’t repaid or serviced by the state but by taxpayers and taxpayers who are in the long-term often not even born when the Bond is issued. Just as the working classes were sailed down the river by the politicians’ stewardship of the labour market the same is now going on with Bonds. A brief history of the Bond illustrates the point. Bonds were first issued in the 18th century to pay for military excursions and wars. In normal times the economy paid for the State but to prosecute war the State borrowed from the economy. Today the State buys breakfast with Bonds…..and that is good for no one and certainly not the working classes who, already on the road to pauperdom, will be paying for the State elite’s breakfasts for years to come. This market will fail, interest rates and inflation will once normal economics returns turn British and US Bonds into junk. The State won’t be able to borrow. How will the elite cope….? At the expense of the unemployed workers, of course. Ex-workers newly pauperised and docile, obsessed with identity and social media the new elite will simply take control. “fake news” is part of that process, it makes people trust their elite and not trust themselves. The financial market is interesting. Back in the days of proper (albeit conflicted and exploitative) capitalism, the financial markets served the capitalist economy…Bankers were to coin a phrase petit bourgeois. The bankers served the interests of “capital”, capital owned by “capitalists”. The growth in the economy was driven by the profitability of the capitalist system, banking and the other bourgeois institutions like the law and parliament served the needs of the capitalist. However, we have explained that capitalism has failed having died sometime in the 1970’s and in its death throes it was unable to meet the demands of the State that had become bloated on it’s back. This was one of those threshold moments when international relations deteriorate, groups are blamed for the systems failure and wars start. Unfortunately, in spite of Bush and Blairs attempt to open up a lucrative war or two in the Middle East, war is seen as too costly, counterproductive and more significantly expensive. Bonds are no longer issued for paying for war but welfare, healthcare and wages. In the absence of a real economy after the 1980’s creating value from the combining of factors of production (Land, Labour and Capital) and with capitalism dead in the western waters and wars and reconstruction no longer an option there was an ideological hiatus. What was going to happen?….well what happened is what is happening now! The financial sector….for to hundred years the Aunt Sally of the real capitalist system became the “economic system”, in the newly minted and newly branded free market. With the opportunity to offshore work to places like China and bring migrants in to do low-value jobs at home, low production costs and high production values created huge profits for the racketeers, whilst the drive towards home ownership shifted public value into the hands of the private individual who could then borrow secured loans as their asset, their home, rose in value. This was driven by more borrowing, migration, artificial demand from broken homes and students. The financial sector has essentially “equity released” Great Britain to indebted Britons or wealthy global speculators. Whilst the banking system has many tentacles, for us the most lucrative is the property backed lending spree that has kept the low-cost high-profit free market going. The whole thing is fine until the asset values plunge and consumption or spending power shrinks. This will happen, it happened in 2007/8 and nothing has changed except governments are now even more indebted and technically bankrupt than they were after 2007/8. The final market which as we have hinted at above feeds the financial market with “value” is the housing market. This market is unreconstructed and depends on the levels of supply being outstripped by levels of demand. Levels of demand are manipulated by a number of factors including selling the homeownership ideal but at a more practical level migration, divorce and family reconstruction, as well as student rentals all, add to demand. This demand inflates prices whilst builders “Feed in” just enough property so as to ensure gentle inflation in the market creating “lending and borrowing opportunities” for the financial sector. This model of housing ignores some obvious flaws namely that housing should serve the needs of the economy, it can’t be a major part of the economy by providing the “value” base for secured lending. Modern housing does not reflect the needs of the modern worker, it is based on the 1950’s mythical nuclear family. A home that has two or three bedrooms and costs £200,000 is not achievable nor for many modern workers desirable. The modern worker should be global, childless until a child is affordable, flexible and have accommodation which does not soak up a huge amount of earnings.The modern housing market is a Baby Boomer confection that is manipulated and engineered to produce monetary value to support the “free market”, the building industry and its CEO’s and the government. To keep this important market going we need to inflate property prices, build on greenfield sites break up families and keep students and migrants driving people out of the town and city centres to the new out of town estates. This market will collapse and will take the financial market with it. The four markets of the apocalypse are either failed but “zombied” like the labour or Bond markets or they are the great hope of the system but overvalued and indebted with high asset values feeding the consumer based economy. Looking at all four markets it is difficult to work out what to do. It’s like being in quicksand. don’t move or do move…..you are still going to drown!